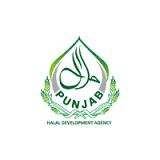 The Punjab Halal Development Agency has arranged a seminar on “Halal Business Projection” on Friday to increase the Halal trade of Pakistan. A Malaysian delegation comprising 25 business personnel participated in this seminar along with the Pakistani traders. The Malaysian delegation will stay in Pakistan for a couple of days to study the market and its requirements for import and export and to set up a new industry in Pakistan. While speaking on the occasion, senior educationist of Malaysia, Tan Sari Dato Dr Syed Jalaludin bin Syed Salim, has said that Malaysia wants to increase the Halal business volume with Pakistan with the help of local business community. He also said they have come to Pakistan to survey the market here for furthe r investment in production and services. While speaking to the participants, Chairman Punjab Halal Development Agency Justice Khalil-ur-Rehman Khan said that Punjab will fully support the Malaysian business community in all respects. He said that PHDA is the only accredited organisation in Pakistan having domain to project the Halal business worldwide. He further said that Punjab is able to provide Halal compliant products to Malaysia as per their need. Special Assistant to CM Punjab, Chaudhry Arshad Jutt, VC UVAS Dr Talat Naseer Pasha, Secretary L&DD Nasim Sadiq and Executive Member PHDA, Dr Hamid Jalil also participated in the conference and delivered their speeches supporting the event.